The Royal Canadian Air Force trumpeted the F-35 fighter jet to Canada's defence minister as the best option for the country even though it was missing key information on competing aircraft, according to a Canadian military insider. 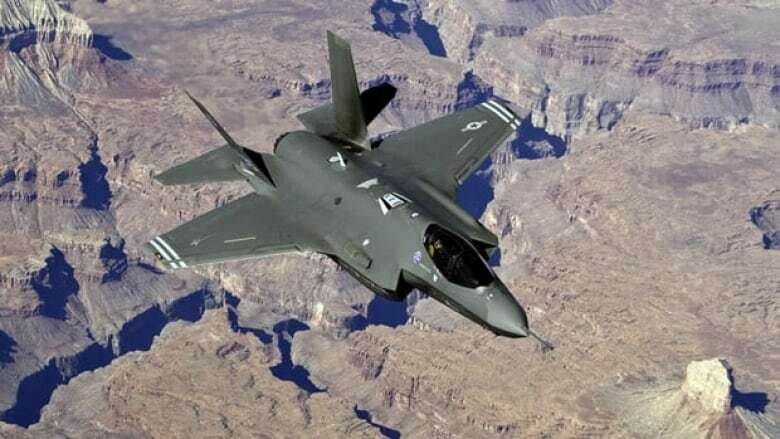 The Royal Canadian Air Force trumpeted the F-35 fighter jet to Canada’s defence minister as the best option for the country even though it was missing key information on competing aircraft, according to a Canadian military insider. Steve Lucas, former Canadian chief of the air staff, acknowledges in an exclusive fifth estate interview, to air tonight, that the military's recommendation in 2006 to their political masters in Ottawa was based on incomplete data. "With the stage we were at, at that point in time, not only did we do the glossy brochure examination, but we also went to each of the countries, spoke to each of them," Lucas told the fifth estate. But the air force report that backed that recommendation, obtained by the fifth estate, reveals that when the Canadian military visited four other nations that were peddling competing fighter jets they were denied classified information every time. "Indeed, it does say at the bottom [of the report], more information is needed," says Lucas. "But I guess I would characterize that as an appropriate level of examination for where we were at, at that point in time … knowing that there would be subsequent examination, more detailed examination as we develop the statement of requirements." Canada’s auditor general reported that the air force’s statement of requirements was only submitted to the federal Public Works department after the Harper government announced it was committing to purchase 65 F-35 Joint Strike Fighter aircraft. Despite the fact that the air force review was incomplete and the F-35 was still only in development, the brass recommended in a brief to the defence minister in September, 2006, that the F-35: "provides the best available operational capabilities to meet Canadian operational requirements, while providing the longest service life and lowest per aircraft cost of all options considered." Based on this recommendation the Harper government signed a memorandum of understanding in 2006 expressing its "intention" to purchase the F-35 in the future and to commit a further $500 million to the Joint Strike Fighter program. The fifth estate investigation also reveals that, four years later, prior to the Harper government’s controversial 2010 announcement to sole-source the Lockheed Martin-built F-35, the subsequent information Canada obtained about competing aircraft came from the U.S. Joint Strike Fighter office — the very people with the most to gain from selling Canada the F-35. Canada’s auditor general reported this past spring that the air force’s statement of requirements, laying out what it needed in a new fighter aircraft, was only submitted to the federal Public Works department after the Harper government announced it was committing to purchase 65 F-35 Joint Strike Fighter aircraft. Public Works is normally the department responsible for procuring hardware for the military after it lays out its requirements. Should Canada drop the plan to buy F-35s and start over? Take our survey. In his interview with the fifth estate, Lucas also reveals that he was never keen on a competition to choose Canada’s next fighter jet. "To hold a true competition, you would actually have to step back from being a partner nation," Lucas says. "You would actually have to get out of the partnership to be part of a Canadian-style competition." Lucas was retired before the government made its decision in 2010 to sole-source the F35. The fifth estate documentary also investigates why Canada committed to purchase the F-35 in 2010, two years ahead of schedule, when the fighter program was under siege in the U.S. and in other partner nations for mismanagement and massive cost overruns. Former Pentagon fighter designer and F-35 critic Pierre Sprey predicts that when all of the failings of the F-35 have come to light, the cost per aircraft will rise dramatically. "It wasn’t performing so well, it was late, the costs were running up, international investors and potential buyers and governments were getting worried," Ottawa defence analyst Steven Staples tells the fifth estate. "So who were their two closest allies on this? Canada and Israel. And those were the two really key countries, I think, that could give some good news. And in 2010 Lockheed Martin was desperate for some good news about the F-35. And Canada gave it to them." In 2010, the Harper government publicly announced the cost of purchasing 65 F-35 aircraft would be $9 billion. At the time, the government refused to disclose its own further operating and sustainment cost estimates of $16 billion, which pushed the total cost of the F-35 program to $25 billion over 20 years. 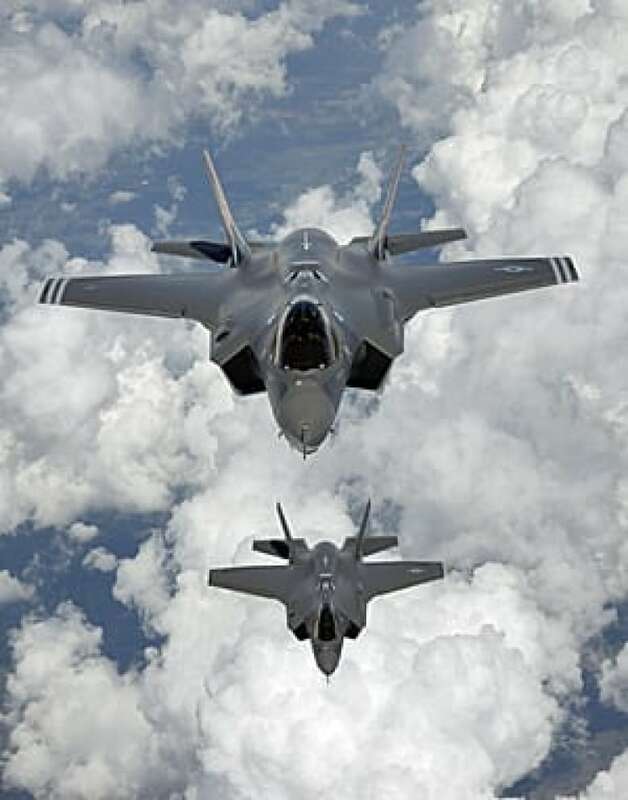 The Joint Strike Fighter program is supposed to produce upwards of 3,000 F-35s for the U.S. and eight partner nations. To date, after more than a decade in development, the Joint Strike Fighter program has only produced 33 planes — all test models or training platforms. Watch the fifth estate's documentary, Runaway Fighter, on Friday at 9 p.m. (9:30 p.m. in N.L.) for more exclusive revelations. "If Canada is still buying it, they’ll be paying $200 million plus [per plane]," Sprey tells the fifth estate. "Because among other things, the promised quantity will never happen. Nations will drop out, lots of nations won’t be able to afford it and even the U.S. is going to keep on cutting back the buy, and as the buy is cut back, the cost is going to keep going up." Canada's Defence Minister Peter MacKay and Lockheed Martin vice-president Tom Burbage declined to be interviewed by the fifth estate. The one-hour documentary to air tonight on the fifth estate chronicles the inside story of Canada and the F-35. Should Canada drop the plan to buy F-35 jets and start over?